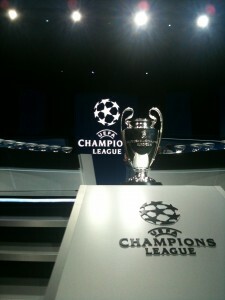 Cuemaster provided a teleprompter system for the UEFA Champions League and Europa league draw. At this event the footbal clubs participating are drawn for the group stage. This show takes places in the Grimaldi Forum in Monaco and is broadcasted live in a huge number of countries across the world. It was the second year in a row that Cuemaster provided the teleprompter used by the hosts of the show.